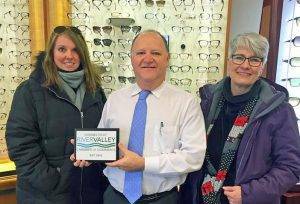 TotalVision Eyecare of Glastonbury is Glastonbury's only full-scope optometry practice, and proud member of the Connecticut River Valley Chamber of Commerce! We offer comprehensive eye health exams, medical treatment of eye diseases and infections, expert contact lens and eyeglass fittings, and unique frame styles and lens choices. Our goal is to offer our patients the benefits of our eye doctor's 30+ years of experience in community eye care in a comfortable, caring atmosphere. Your eyes are for life, and so should your eye care. We take the time to get to know you, your eye care history and your general health. 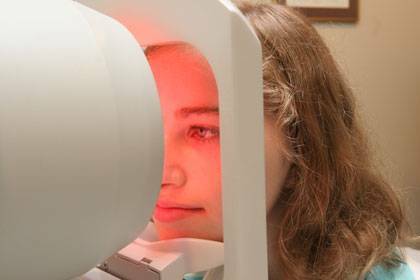 Since health problems can affect your eyes, and the eyes can often reveal health problems before they appear anywhere else, regular comprehensive eye examinations are vital even if your vision doesn't seem to have changed. Our holistic approach to eye care ensures that you get the best possible care, advice and options for your vision needs.